WuXi Biologics (2269.HK), a leading global open-access biologics technology platform company offering end-to-end solutions for biologics discovery, development and manufacturing, today announced that construction has commenced on a Biologics Manufacturing Center of excellence (MFG8), in the city of Shijiazhuang, one hour train from Beijing. The new Biologics Center with 48,000L bioreactor capacity, one of the largest global facilities using disposable bioreactors will be built to meet cGMP standards of the United States, the European Union, and China. 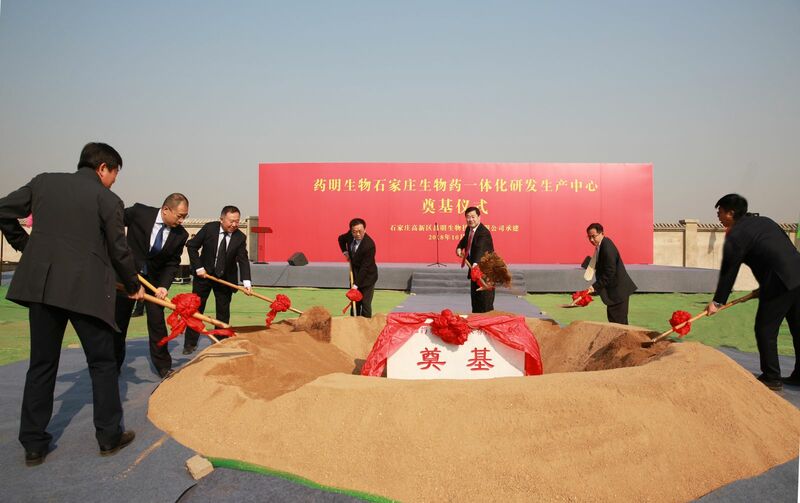 It will be the 8th drug substance manufacturing facility of WuXi Biologics which plans to have more than 220,000L manufacturing capacity by 2021. “We are pleased to break ground today and look forward to the operations of this new Biologics Center. This facility will enable WuXi Biologics to develop and manufacture biologics more cost effectively as well as to provide a robust supply chain network for our global partners, and ultimately to benefit patients worldwide,” said Dr. Chris Chen, Chief Executive Officer of WuXi Biologics. WuXi Biologics (stock code: 2269.HK), a Hong Kong-listed company, is the only open-access biologics technology platform in the world offering end-to-end solutions to empower organizations to discover, develop and manufacture biologics from concept to commercial manufacturing. Our company history and achievements demonstrate our commitment to providing a truly ONE-stop service offering and value proposition to our global clients. As of June 30, 2018, there were a total of 187 integrated projects, including 98 projects in pre-clinical development stage, 78 projects in early-phase (phase I and II) clinical development, 10 projects in late-phase (phase III) development and 1 project in commercial manufacturing. With total estimated capacity of biopharmaceutical production planned in China, Ireland, Singapore and US reaching 220,000 liters by 2021, we will provide our biomanufacturing partners with a robust and premier-quality global supply chain network.